This blog post is divided into three sections: The easy, The Auth and The Complete parts. Microsoft Flow released a new power to Convert Files to PDF. This made my October. So of course we have to play with this. 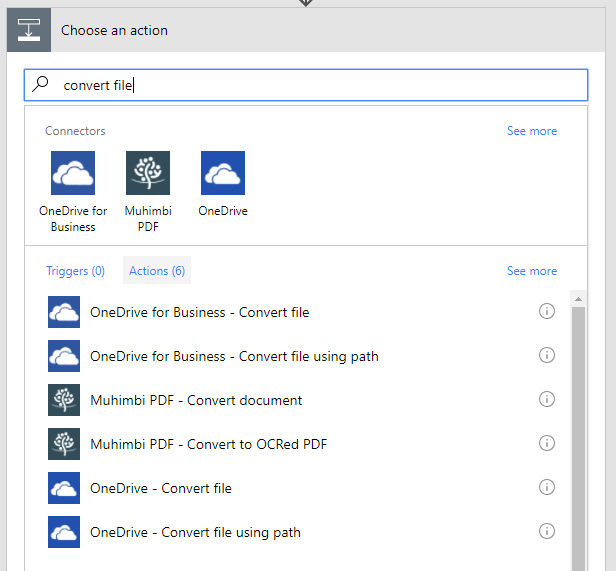 Why do I have to copy to OneDrive for Business? Not with the default Actions for now. There's no Convert File for SharePoint Connector. And SharePoint Connector's Get File Content action doesn't allow a format parameter. And this is the simplest solution. We are going to dive in to see what API this uses. And whether we can call the same API on SharePoint library document directly without copying the file to OneDrive first. This next part is good for you. But it is heavy and will look complicated. Brace yourselves. ...So what API does this use? Disclaimer - OAuth looks familiar, but steps are always tricky. Easy to mess up. So if you are following this through, walk carefully. We will be accessing files - so make sure Application Permissions for read files is granted. This requires admin consent. Via the Azure AD portal - hit Grant Permissions to perform admin consent directly. This HTTP request with the Bearer access_token successfully returns SharePoint site data from Microsoft Graph. A few things going on in this result. Flow thinks this request has failed - because it doesn't return a 2xx status. It returns a 302 redirect. Parse JSON again on the Response header. We just want Location. We also need to configure Continue on previous HTTP error. The complete solution uses HTTP to call MS Graph directly and pulls back the PDF file after a 302 Response. This is a fairly complex example so please evaluate whether you want the Correct Way or the Easy Way. Note also that Microsoft Flow has a Premium connector for Azure AD Requests - which will negate the middle part of this blog post re: Auth and let you dive right into MS Graph REST endpoints without worrying about access_tokens. Call this Flow request and it downloads the PDF file, converted from a DOCX document in SharePoint team site.